Researchers who present mathematics in their papers confront a different kind of math problem: how to display their formulas and equations in a way that is attractive and easy to read. Now, researchers whose studies are published online on ScienceDirect can have their mathematics rendered by MathJax – a technology that enables a crisp display of mathematical symbols and equations on the web. MathJax is an open-source "display engine" developed through a collaboration of the American Mathematical Society, the Society for Industrial and Applied Mathematics and Design Science Inc. As part of the MathJax Sponsorship Program, Elsevier was one of the first supporters of this initiative and recently increased its commitment to this project with a partner level sponsorship. With MathJax, ScienceDirect can now display high-resolution, fully scalable symbols and equations seamlessly within surrounding text, improving the readability and interpretation of research. Also, readers have the power to magnify equations in an article and copy and save them for further research. There are no further requirements for authors, editors and reviewers. As part the typesetting process, Elsevier converts mathematical symbols and equations included in submitted manuscripts into MathML, the W3C standard for mathematics on the web. MathJax has the capability to display the generated MathML and ensure that past and future articles published online on ScienceDirect contain the enhanced displays. MathJax Manager Peter Krautzberger (@pkrautz) explained that displaying mathematics and science online is challenging because of limited and inconsistent browser support for web standards such as MathML. "MathJax leverages existing web technology such as CSS and web fonts to provide reliable, beautiful and accessible rendering," he said. "While browser support of MathML remains elusive for the foreseeable future, MathJax enables it on browsers as old as Internet Explorer 6 and Safari 3. "The integration of MathJax at ScienceDirect is a big boost for mathematical and scientific content as it is now displayed natively and accessibly in all articles published in Elsevier journals." Laura Hassink, Senior VP of Physical Sciences at Elsevier, said this kind of technology enhancement is part of Elsevier's ongoing efforts to integrate tools that make research easier to prepare and use. "We believe this feature will greatly benefit authors, researchers and the mathematics community as a whole," she said. For more information, visit elsevier.com/mathematics/mathjax. 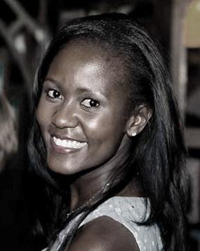 Evalyne Wanjiru is a Marketing Communications & Researcher Engagement Manager at Elsevier. Based in Amsterdam, she promotes the Mathematics and Statistics journals and initiatives specific for the Mathematics and Statistics community. 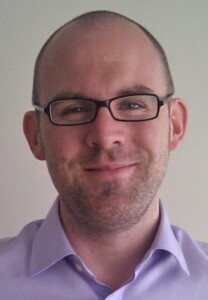 Also contributing to this story is Hylke Koers, Content Innovation Manager for Elsevier.